Unwanted noise is a blight on people’s lives and more than one in ten house moves is reported to be to escape unbearable noise. For this reason, Tradesmith has worked with VEKA Halo, Warmcore aluminium and Deceuninck to engineer a range of windows which block out excessive sound. 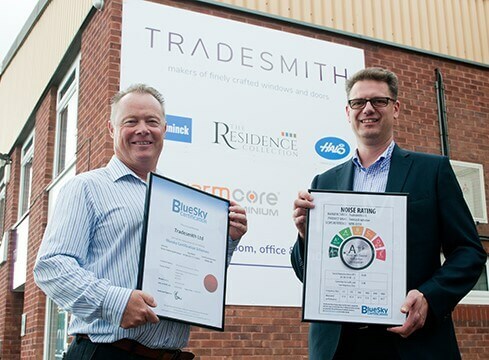 Tradesmith’s range has been independently certified through Bluesky and is available to installers, builders and developers across the South East, where a high proportion of homes and businesses are impacted by noise from Heathrow and Gatwick airports, road traffic, noisy neighbours and even from the sound of the seagulls.